After weeks of cold and snow, what a joy it has been to have a week of warmth! A trip around the yard revealed signs of spring! The snowdrop is blooming once again and it looks like it has spread into two plants! I'm so excited to see them! 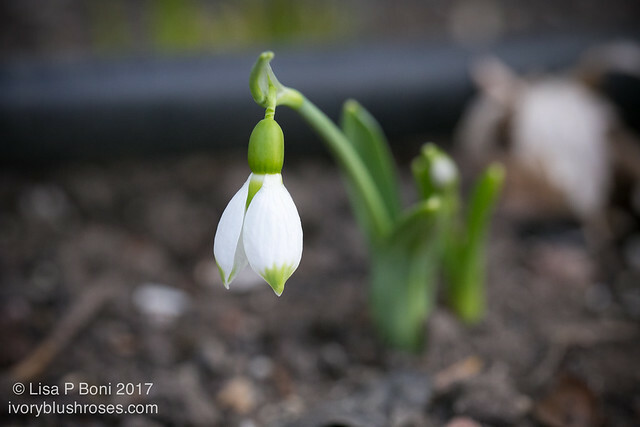 There is something so pure and innocent about snowdrops that belies their strength and toughness. Not too far away, the tulips are sending up the first tips of leaves. 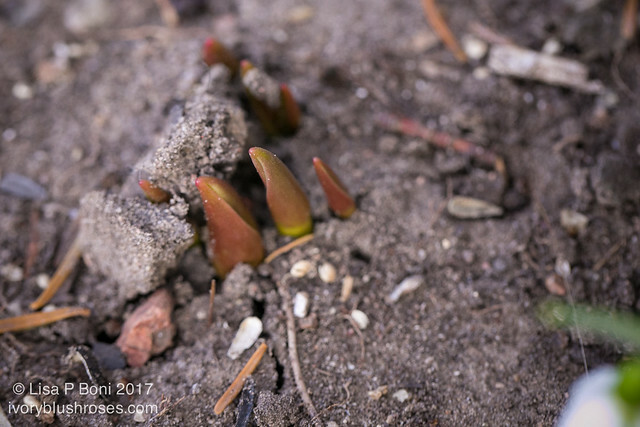 To me, they almost look like little crab claws reaching up through the soil. Then I spied this lovely clump of green shoots bursting forth! I have no idea what they are, but hoping for some little daffodils! What fun to have the anticipation of watching and waiting to see what they become! 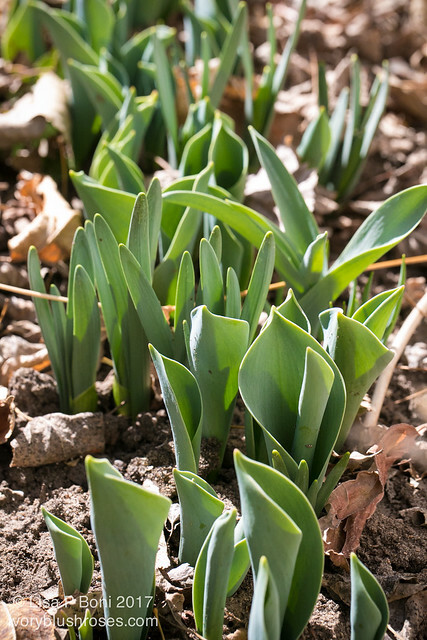 As I walked around the house, I discovered that along the front walk, where it is sheltered and warm, the daffodils and tulips are already well above the ground! Signs of so much beauty to come! Isn't it lovely to know that winter, which seems endless when we are in the midst of it, doesn't last forever? 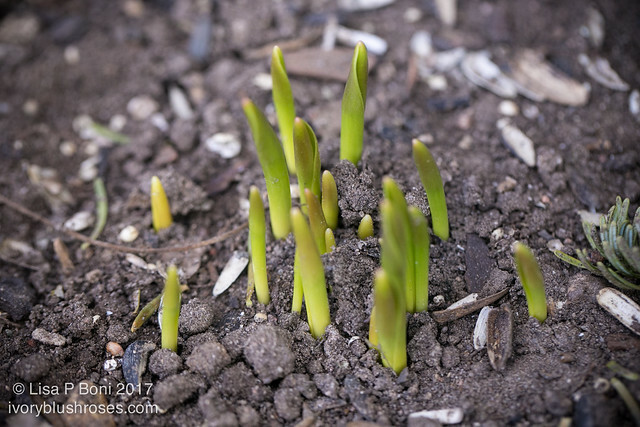 How wonderful to see signs of spring in your gardens. Enjoy. These are lovely photos. Here in Michigan, we've yet to see signs of growth, but the song birds that don't reside here are singing again, and today we're in the 50's which is not normal for this time of year, but I'll take it!! Enjoy watching your unidentified flowers!